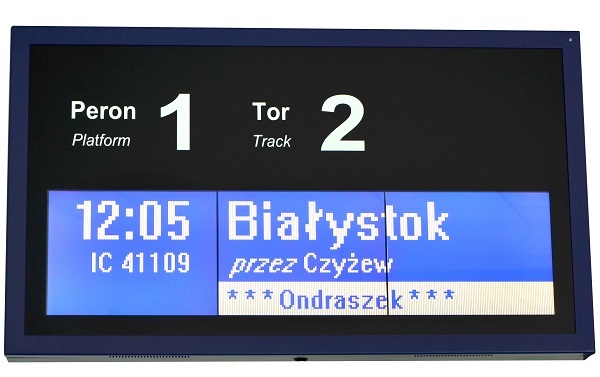 DYSTEN designs, creates, delivers and installs passenger information displays for Intelligent Transportation Systems. Decide what you want to display and how and we will adapt the device to your communication and aesthetic needs. 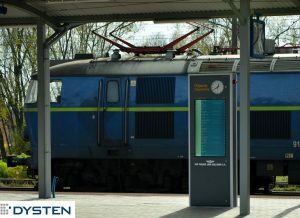 LED displays are the best choice among passenger information displays due to the highest brightness, the longest service life (15 years) and energy efficiency. 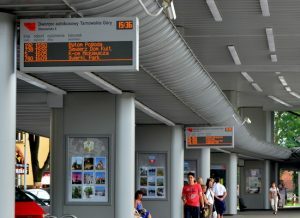 TFT LCD devices provide complete freedom to display content – any color, size and type font and format of the timetable. DYSTEN has combined the best of these two technologies and created a full colour LED display RGB. 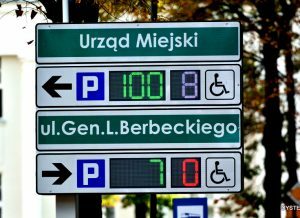 The applied LED technology provides excellent visibility regardless of time of year and day and the sun exposure. 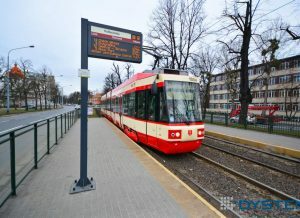 Therefore, LED’s passenger information displays are dedicated to outdoor installations including bus stops, bus shelters and platforms. 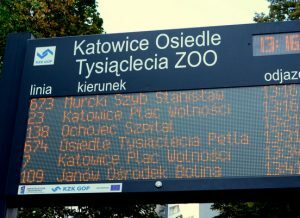 Information is displayed using the amber LEDs. High-resolution matrix display graphics, animations and videos in color. A wide range of monitors with different brightness, can fit solution for outdoor or indoor installation. 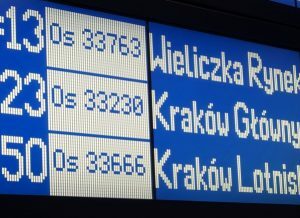 The display built with illuminated matrix LCD presents two-color passenger information. 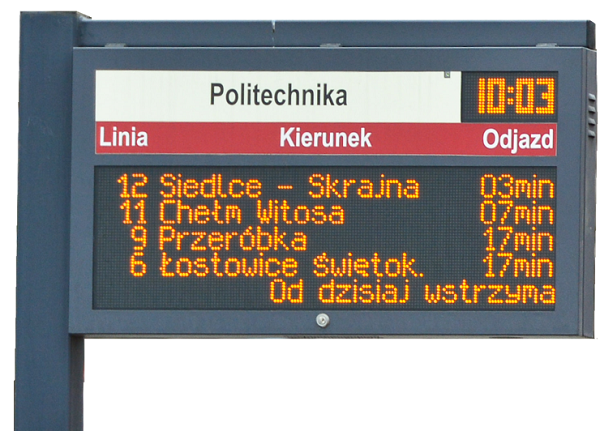 Displays static content as timetables and graphics. 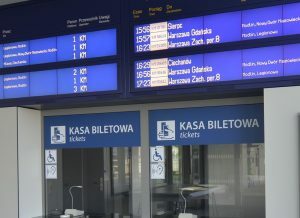 Provide passengers with comprehensive information on current arrivals, departures and connecting options at stations and public transport stops. 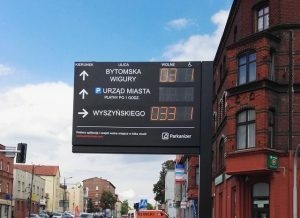 In line with your needs DYSTEN can integrate the device with the passenger information [display] system (PIS or PIDS) or the GPS module in the vehicle which allows for regular updates of arrival and departure times, and the vehicle’s position on the road. 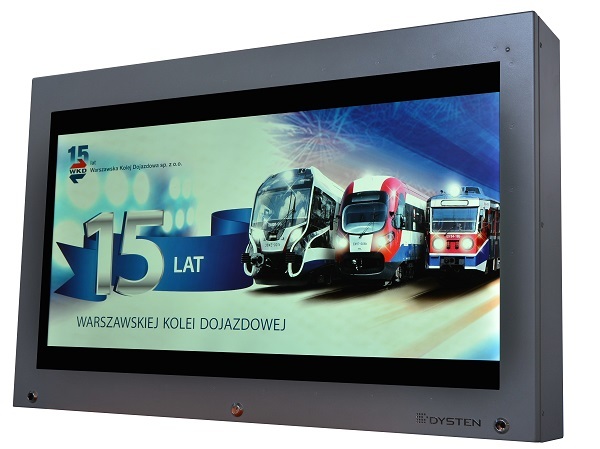 Our passenger information displays meet the highest technical standards. Image, colour and size regarding requestor’s needs, we help with a design as well. 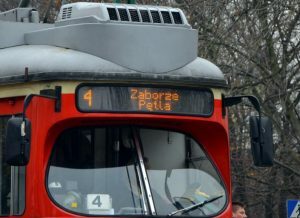 Getting the information to the widest possible audience at official events held by the Office of the President of the Republic of Poland is the key to success of all the media coverage. The DYSTEN sound system guarantees that. It provides excellent quality of communication and a high level of speech intelligibility. The multi-functional and flexible sound system has helped us to become a unique cultural center. 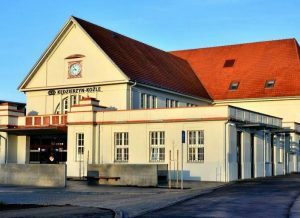 Now, the National Film Archive is more than a cinema theatre, it is a place where not only screenings are held but also concerts, live performances, lectures and workshops. Stock market information displays are made entirely to our order including intricate mechanics and tailored electronics to adapt the device to the needs of a TV station. Installed equipment serves as a perfect information carrier and becomes an interesting element of studio's scenography. Do you want to learn more? We are here to help you.